When the web part is adjusted, you can start using it and upload files to the predefined destination. If you enabled the overwriting settings, you will see the checkbox in the right upper corner. 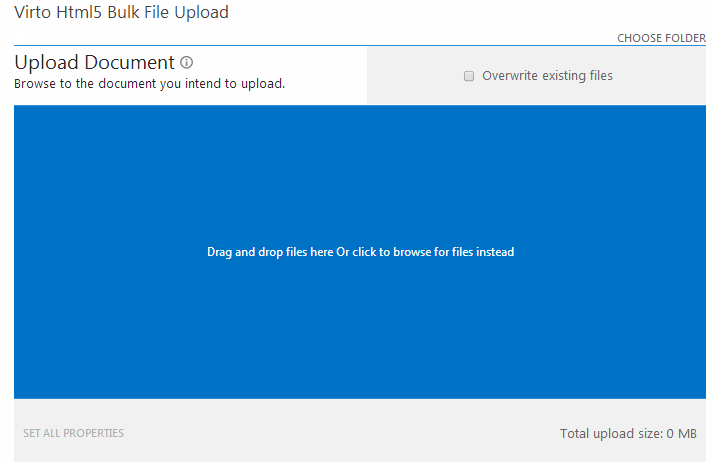 The total upload size is shown under the upload field.